Beaumont is home to over 100,000 residents and is one of the three cities that make up the Golden Triangle industrial zone on the Gulf Coast. There are many effective advertising opportunities within the city. First, Lamar University is the perfect location for out-of-home advertisements for cheap prices to allow you to capture 15,000 potential customers. 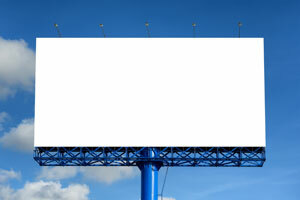 Target your audience with outdoor billboards or other outdoor advertisements near cultural attractions like the Art Museum of Southeast Texas or the Fire Museum of Texas. The major highways serving Beaumont also provide billboard possibilities. Billboards on I-10 or US 69 would generate high traffic exposure of your business. Zip Codes: 77701, 77702, 77703, 77704, 77705, 77706, 77707, 77708, 77710, 77713, 77720, 77725, 77726.